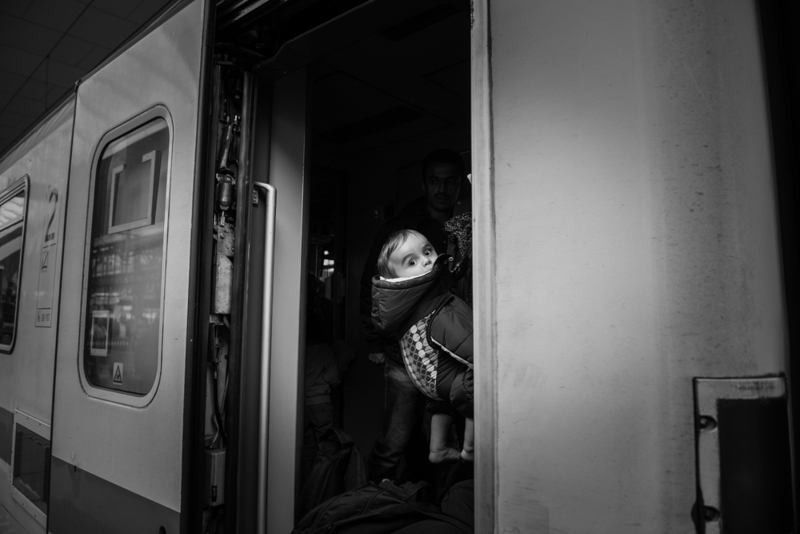 While covering the Migrant Crisis in Europe I had the opportunity to jump a train with some 876 Refugees. We traveled from Salzburg Austria, not knowing whether the train was heading for Hungary or Germany. The train stops in Freilassing. Panic is in the air as police get on the train screaming. 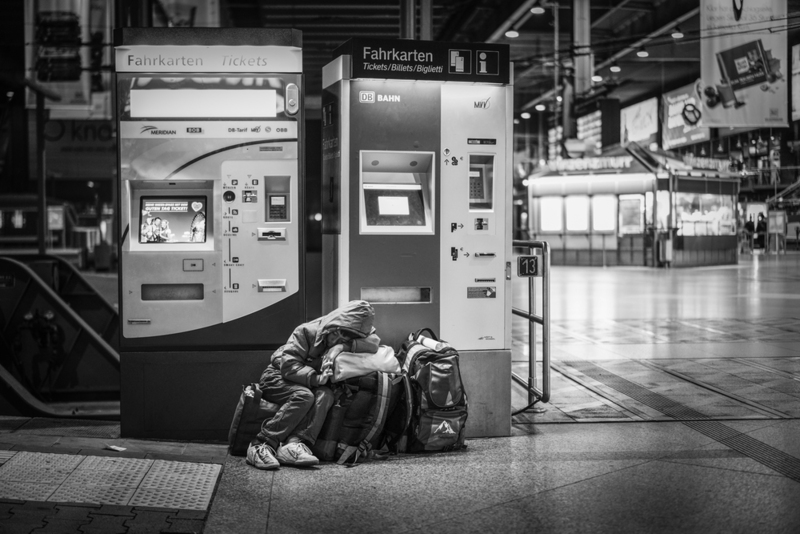 The refugees get off the train, relieved to find themselves in Freilassing Germany. They get on to a second train, and wait to see what direction it will leave in. As we shoot past Munich, I get asked repeatedly where we are going. Smartphones are checked, and the speculation ensues. 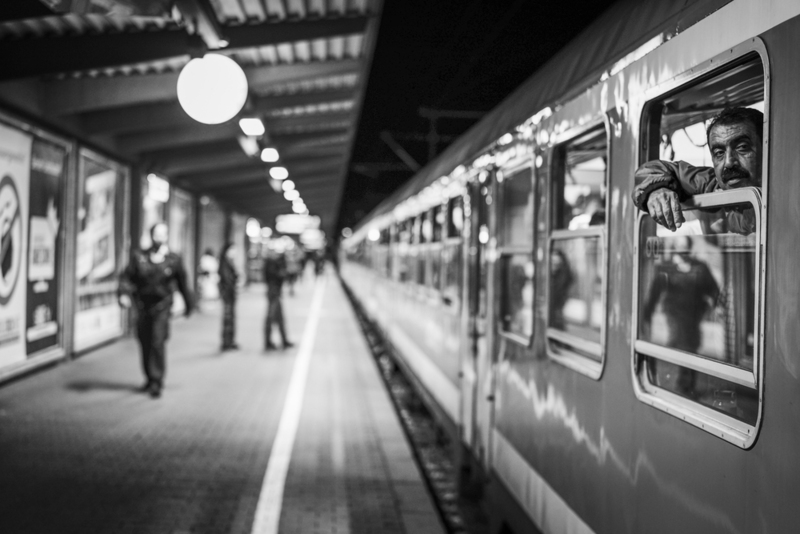 We stop in Augsburg Germany, where 250 Passengers are transferred to another train. in Munich some sleep in the waiting areas. Exhausted, dirty, and hungry , they can finally rest.